Each year this conference brings together over 15,000 HR professional and experts in the field to share insight, tips, tactics, and new practices in over 200 concurrent sessions. We encourage all SHRM attendees to include these sessions in your session schedule. 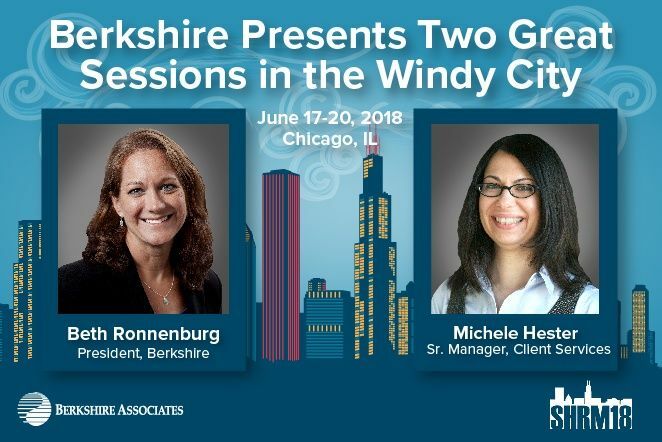 Also, stop by Berkshire’s booth #1814 in the exhibit hall to learn more about our HR products and services. You can also enter to win an Amazon Echo Show, Fitbit Versa, and Amazon gift card. Our staff is excited to share our compliance and pay equity expertise with HR professionals.